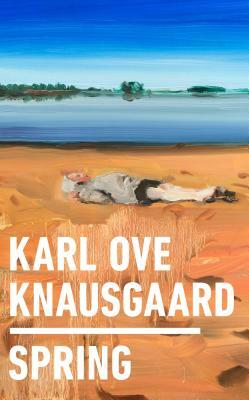 "Poignant and beautiful…Even if you think you won’t like Knausgaard, try this one and you’ll get him and get why some of us have gone crazy for him." You don’t know what air is, and yet you breathe. You don’t know what sleep is, yet you sleep. You don’t know what night is, yet you lie in it. You don’t know what a heart is, yet your own heart beats steadily in your chest, day and night, day and night, day and night. So begins Spring, the recommencement of Knausgaard’s fantastic and spellbinding literary project of assembling a personal encyclopedia of the world addressed directly to his newly born daughter. But here Knausgaard must also tell his daughter the story of what happened during the time when her mother was pregnant, and explain why he now has to attend appointments with child services. In order to keep his daughter safe, he must tell a terrible story, one which unfolds with acute psychological suspense over the course of a single day. Utterly gripping and brilliantly rendered in Knausgaard’s famously sensitive, pensive, and honest style, Spring is the account of a shocking and heartbreaking familial trauma and the emotional epicenter of this singular literary series.